As the game of poker spreads around the globe, new territories are turning on to poker. One such place is Brazil, and at the forefront of poker success in that country is Andre Akkari. Andre is one of the breed of new pro players, ready to travel the world in search of elite poker competition, but also proud of where he comes from and excited to represent his country at the world’s best events.. Here, at his official website, you can find out more about the man from Sao Paolo. Check out his biography and career highlights, and keep up to date with all of Andre Akkari's latest news. You can browse Andre Akkari galleries and video clips in the media area, as well as read strategy articles that he has written. Andre loves to play poker both live and online. You can find him at events on the Latin American Poker Tour (LAPT), as well as on the European Poker Tour (EPT), in glamorous destinations such as Monte Carlo. He also regularly plays the annual PokerStars Caribbean Adventure in The Bahamas. He’s a regular at PokerStars biggest online tournaments such as the Sunday Million, and he also competes in the World Championship of Online Poker (WCOOP) every year. 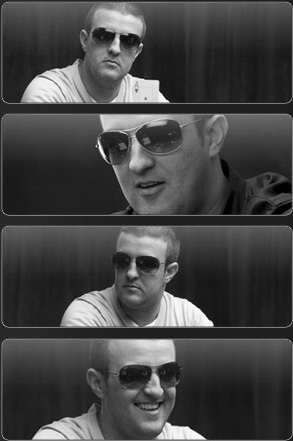 In 2008 he recorded his best WCOOP finish to date when he finished in runner-up spot in a HORSE tournament. You can play against Andre and other members of Team PokerStars Pro only at PokerStars. To get in the game download the free poker software which is available in PC and Mac formats, and start playing now. Find the Poker Star in you. *WORLD SERIES OF POKER and WSOP are trademarks of Harrah's License Company, LLC ("Harrah's"). Harrah's does not sponsor or endorse, and is not associated or affiliated with PokerStars or its products, services, promotions or tournaments. 2007 World Series: Vamoooooo Brazil! You can also follow me in twitter. Download PokerStars state-of-art software for free, with both Windows and Mac compatibility.